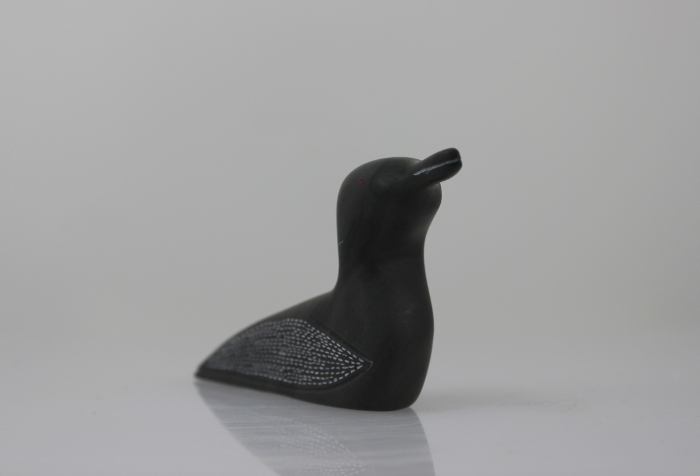 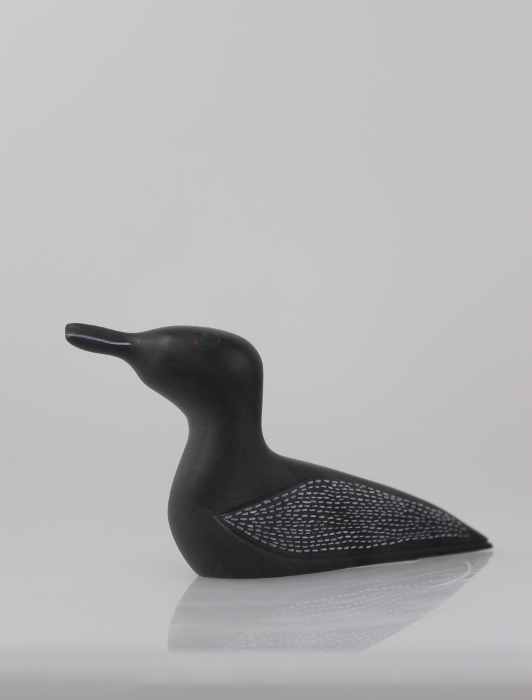 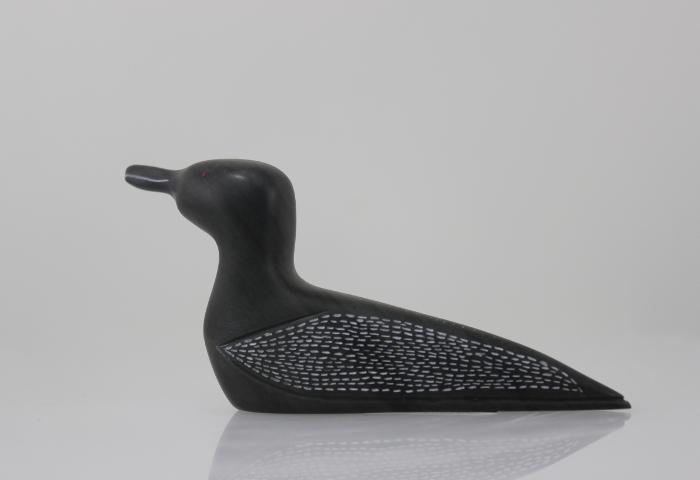 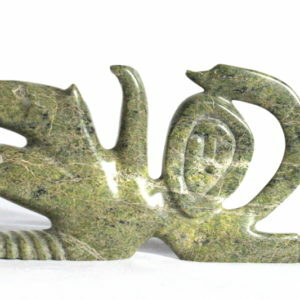 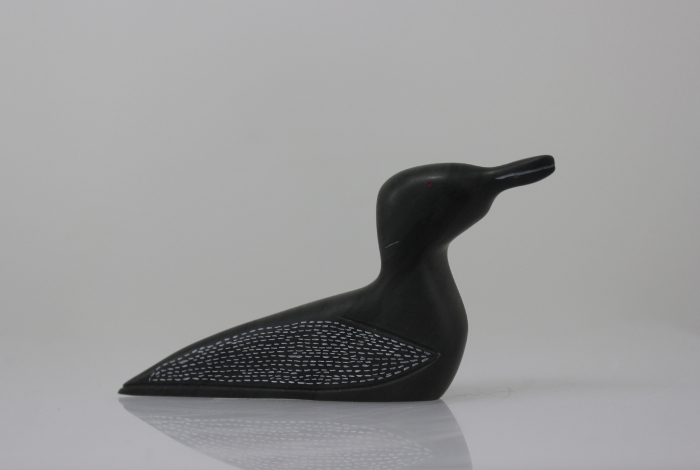 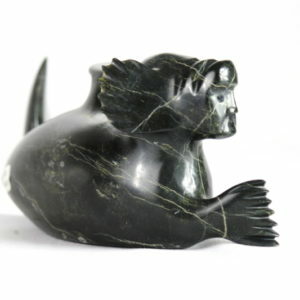 Beautiful loon carved by Annie Eyaituk, an Inuit artist from Sanikiluaq. 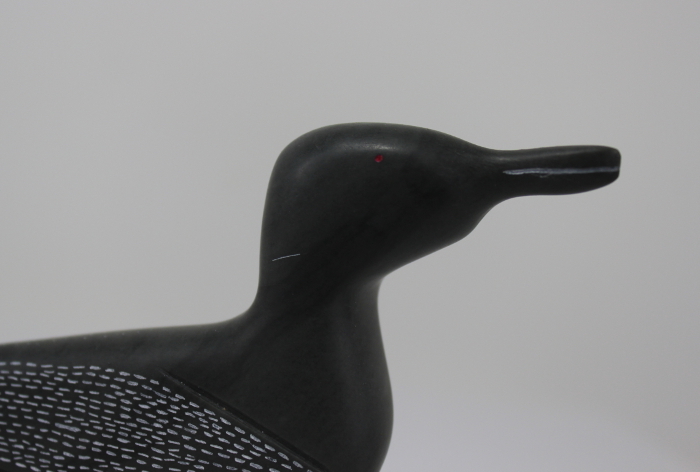 This piece has charming detail with the etched wings and red eyes. 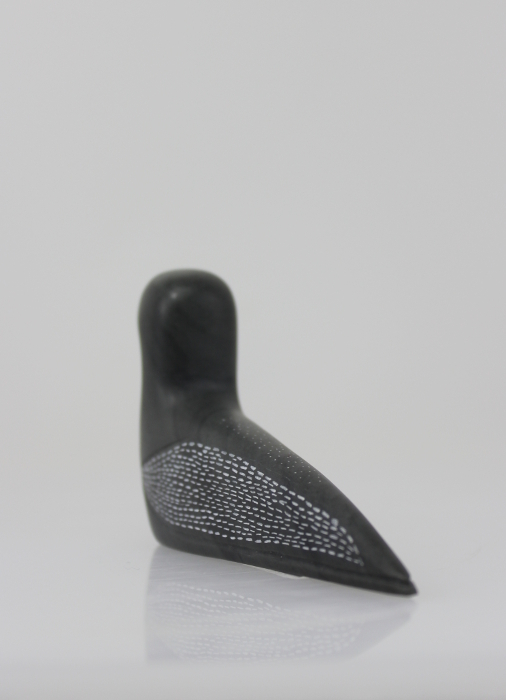 A lovely little piece of art.